Surprise, surprise! 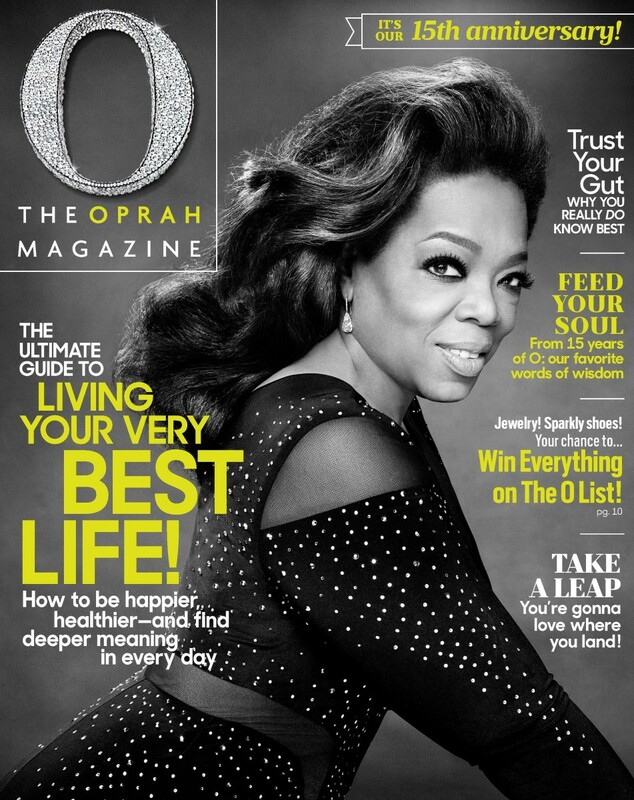 Oprah Winfrey covers the 15th anniversary issue of O, The Oprah Magazine, which sports a black, white, and yellow color scheme to commemorate the milestone. 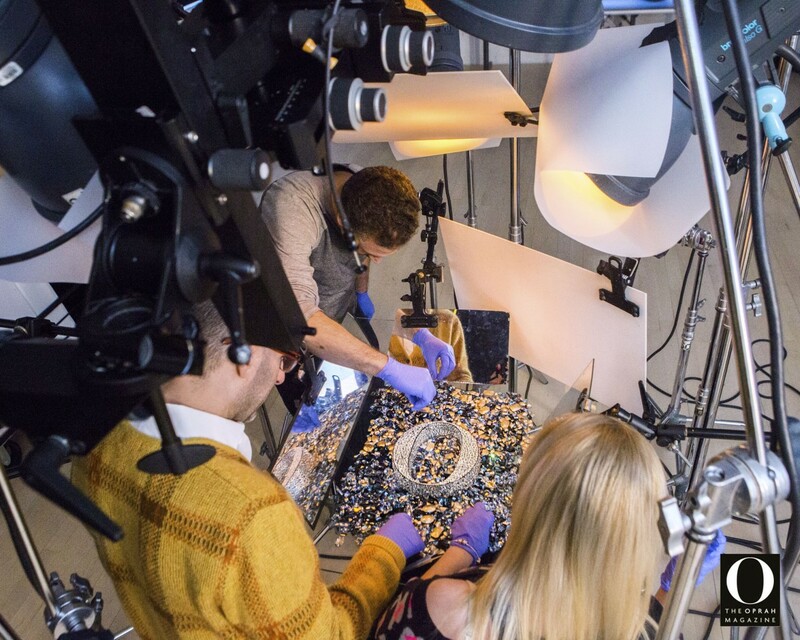 The O team also worked with Swarovski to create a crystal-encrusted O in the inside cover and and put the one and only Oprah in a Xscape dress customized with—you guessed it—Swarovski crystals. (Crystal is the traditional gift for a 15th anniversary, but you knew that.) “For the past 15 years, we’ve been able to fulfill on a monthly basis, the original dream for this magazine,” Winfrey said in a statement. “The original dream is that it would be a manual or a guide to meet women exactly where they are in the their lives and to help them elevate and exalt their lives in such a way that they could literally live their best lives.” Inside the special issue, Oprah and her team stick with the 15th anniversary theme and share a keepsake guide with 15 chapters of the most memorable things that Oprah and the gang at O “know for sure.” They’ve also asked 15 of their favorite writers to recommend the under-appreciated books they love most. Plus, 15 of America’s top food and drinks stars, such as Thomas Keller and Mario Batali, shared 15 recipes with the mag. They’ve also included a list revealing 15 reasons Oprah is the most important person who has ever lived. OK, that last bit isn’t in the issue, but it must have come up at an ideas meeting, right? 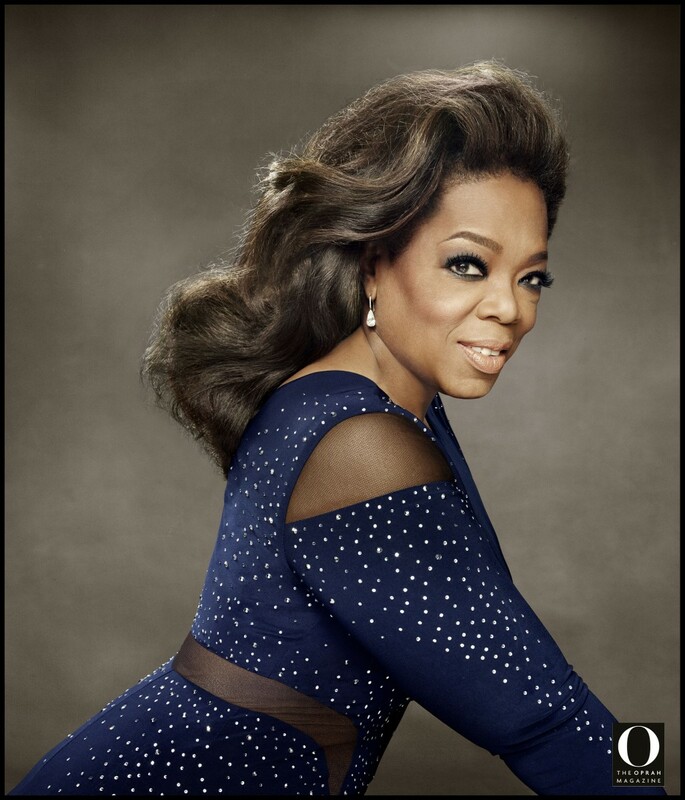 The May issue of O, The Oprah Magazine hits newsstands on April 14th. Bonne anniversaire!